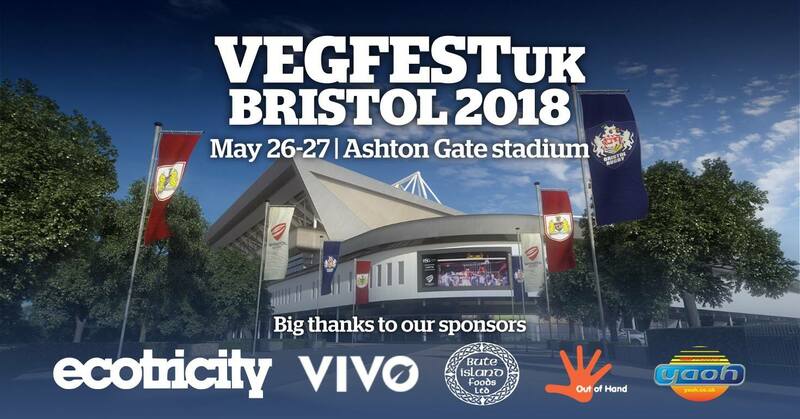 The VegfestUK organisers are jubilant to bring their popular and longest-running Bristol event to the newly renovated Ashton Gate, home of Bristol City Football and Rugby Clubs. The event is open from 11am - 11pm on Saturday and from 11:00am - 9pm on Sunday. 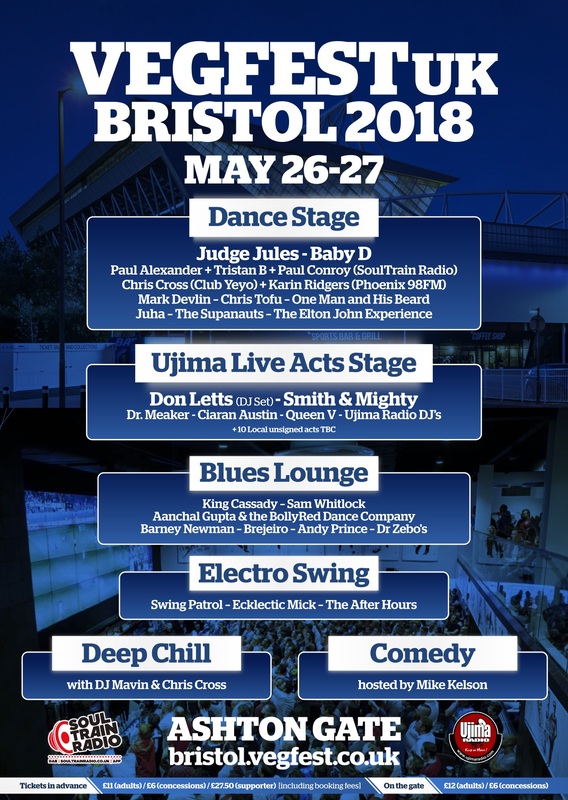 Please note students especially must have valid ID issued by their place of study to obtain a Concession ticket, and will be scrutinised closely. Students should have bonafide student ID card with photo and name to enable access with a concession ticket. Kids under 16 can enter for free as long as they are accompanied by an adult. BOGOHP tickets will generate two barcode tickets, one barcode per person. 1) Please do not bring any animal products onto the site in any form; this is a vegan event. 2) Please do not bring any of the following: alcohol, glass bottles, illegal substances, weapons. 3) Pets and other animals are not permitted on site, due to health and safety reasons. The event is very crowded and not a suitable environment for pets. Assistance dogs are welcome of course, as are their companions. 4) Visitors are liable to be searched on entry or at any time whilst visiting the show. 5) No unruly or offensive behaviour will be tolerated at any time and the event management reserves the right to remove any such person who they deem to be using offensive language or behaviour. This particularly applies to anyone abusing or shouting at any of our organisers. 6) This is a no-smoking venue. 7) Re-admittance is available from 11am - 11pm on Saturday and 11am - 9pm on Sunday. To gain re-admittance, please get a readmittance stamp at the front gate on exit. 8) Children under 16 must be accompanied by an adult and may be asked to show proof of age. 9) In the event of unavoidable cancellation (e.g. due to adverse weather, terrorist alert), we are unable to offer refunds for this event due to high up-front non-returnable costs. 10) The published lineup is subject to change and no refunds are possible in the event of the lineup changing. 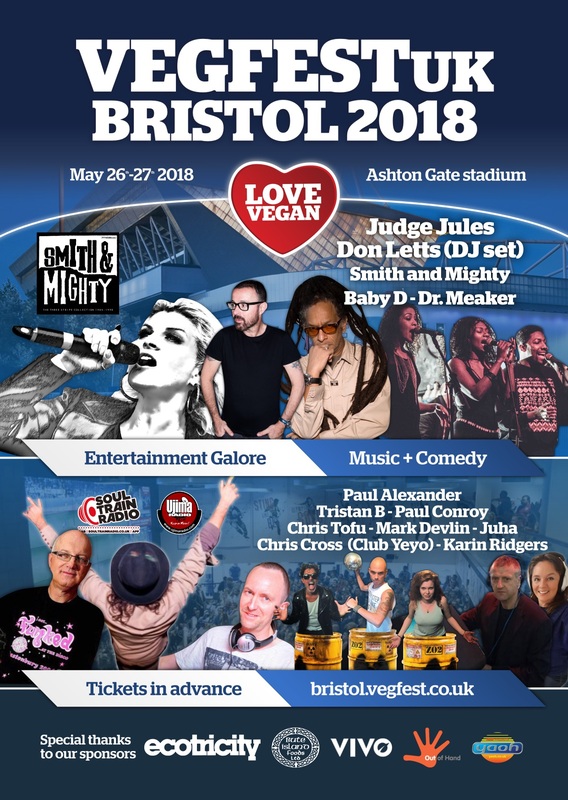 11) Visitors, exhibitors, speakers and performers at VegfestUK events may appear in photos or films produced from the events without prior consultation. 12) By purchasing a ticket for this event, or paying on entry, you agree to the terms and conditions stated here. 13) Further terms and conditions may be added here before the event.